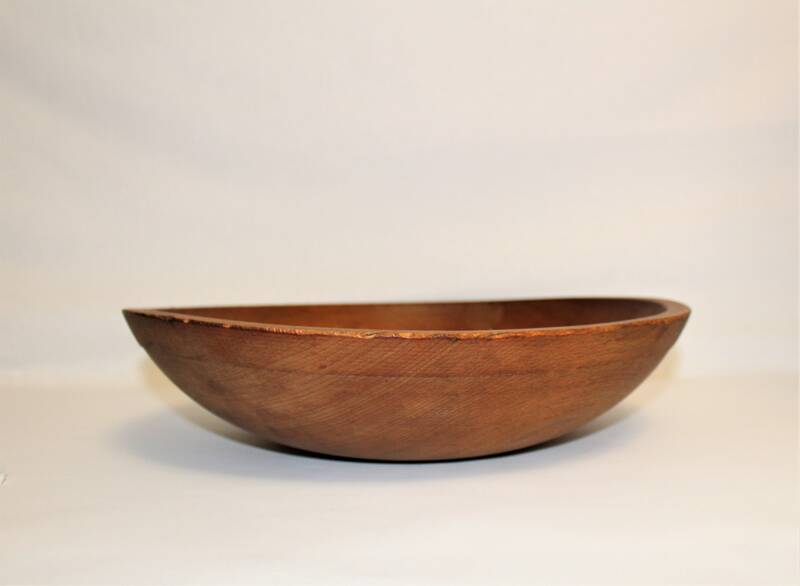 This is a beautiful wood dough bowl with wonderful patina and lots character made from one piece of solid maple it is in vintage condition and ready to be used for years to come. 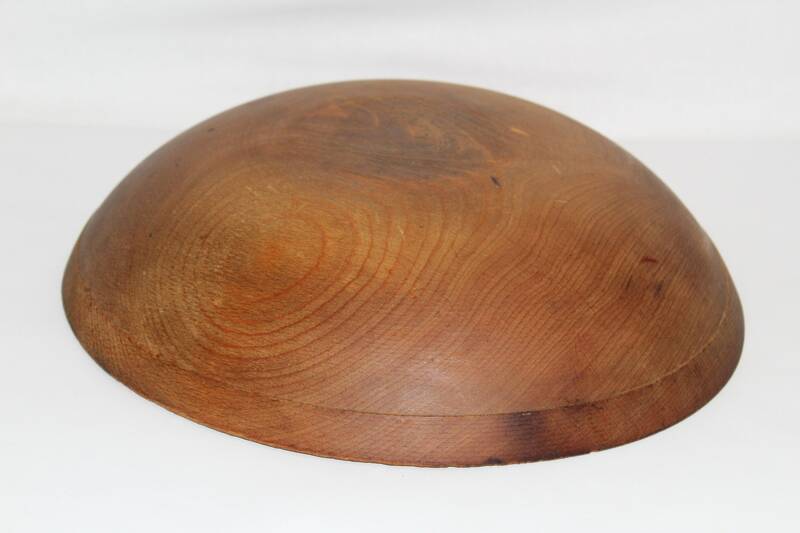 Measures; 12 ¾” x 11 ¾" across and is approximately 3 ¼” deep. 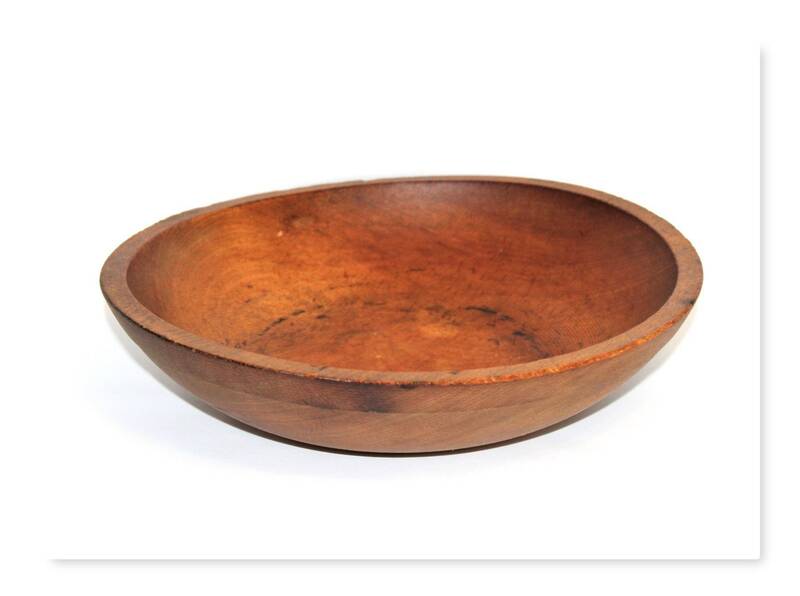 Condition; Good with Great Patina with nice oil rubbed finish, has various scrapes and marks, some edge chips from years of wonderful use, has a burn mark on the bottom from getting to close to the flame, very vintage piece. 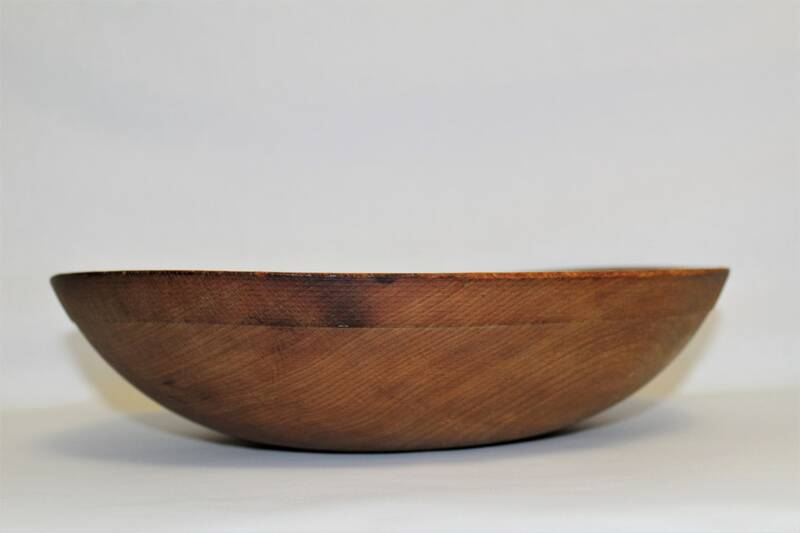 We have oiled this bowl with food safe mineral oil, this is to preserve the wood and keep it from cracking. 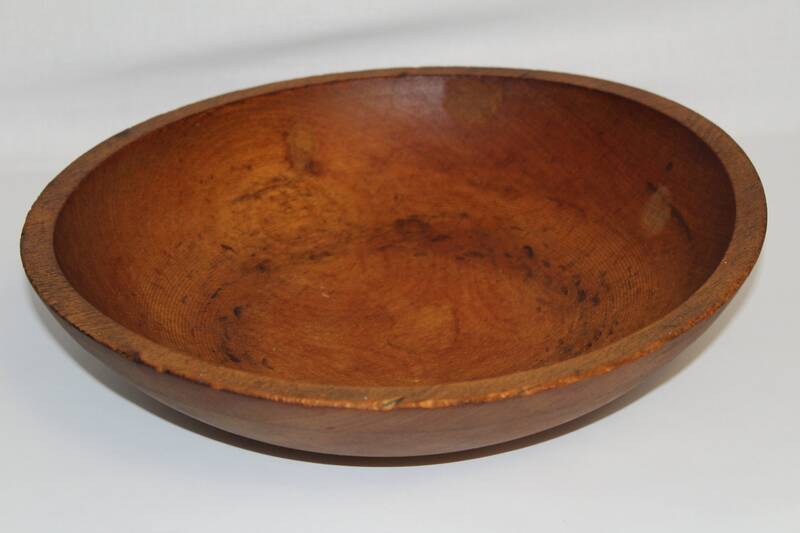 To see more of our wonderful Antique and Vintage Wooden Bowls click the link below to go to our Etsy store.